Groupees.com Creative Director- Design, Marketing, Coordinated Online Promotions, Sourced Sponsors & Content. 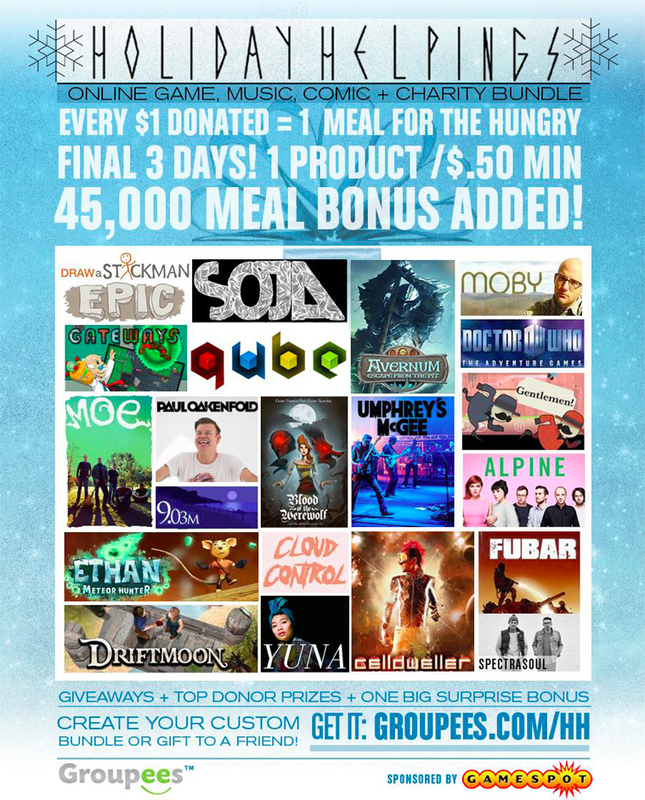 Charitable online promotions with bands, game developers & publishing companies. Each sale was promoted through social media, marketing campaigns, press outreach, e-newsletters, and online contests. Groupees goal is to turn the digital download into a social event that can not only give musicians and game developers a way to connect to their fans, but for fans and artists to work together for a common goal of raising money for a good cause. Today the company has expanded globally, we have a community of One million + registered users, and have raised hundreds of thousands of dollars for charities and individuals in need worldwide. For each promotion we ran giveaways on social media, many of which offered prizes sourced from businesses who were more than happy to donate their products help the cause. A few examples of our unique promotions. Digital content ranged from music and games, to comics and movies, and always benefited a charity or good cause.